A 2013 survey from Pew Research showed that 66 percent of adult Americans use their cellphones to access the internet. The move to mobile has been more pronounced on social media. About 70 percent of Facebook’s billion plus users access the site through more than 7,000 different mobile devices. This information isn’t something that marketers should overlook. 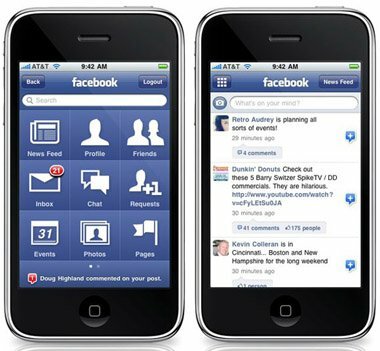 Believing that Facebook Mobile works the same as the website will significantly hamper social media marketing efforts. This post will identify three things about Facebook Mobile that every marketer needs to understand, and how to adjust their campaigns accordingly. The most important thing for social media marketers need to understand about Facebook Mobile is that is has a significant effect on the way content is displayed. For example, people using Android and Windows Mobile devices can put a widget on their Home Screen that displays statuses from Facebook. But the widget can’t show statuses with images, videos, and links. This is one of the reasons why text-based often have a higher organic reach than videos, links and photos. Another thing marketers need to remember is that unlike when people view Facebook on the web, it requires users to open their browser and leave the Facebook app in order to view any links. This produces two problems. First, people who see links in their news feeds won’t click them. This causes the second problem, which is that fewer links will be displayed in the future on that user’s news feed. When a user opens their Facebook app or visits the website, the website uses an algorithm to decide which of the average 1,500 posts that each user can be shown will be seen on the news feed. So if users don’t click links, they aren’t shown as often in the future. 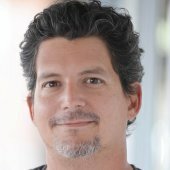 “Facebook is one of the only places where you have a problem on the same scale that Google is doing for search relevance, but you have to use very different techniques due to the personalized aspect of news feed,” Lars Backstrom, an engineer at Facebook, said in an article with CIO.com. It’s important to note that Facebook is working to make it easier for Facebook Mobile to use other features. Back in September, Facebook started having videos autoplay when scrolled over (on mute, of course). On the news feed issue, Facebook has added a last actor dimension to the algorithm which will give greater weight to posts from pages that users recently interacted with. In 2014, Facebook plans to extend a feature from its website that will bump up posts that didn’t get shown the previous day that are more relevant than the potential content for that day. However, even as things change on Facebook Mobile, the key thing marketers need to keep in mind is that people interact with content differently on mobile apps than they do on websites. What these differences are will change over time and marketers must keep track of technology trends to make sure they are making the most of the social media marketing efforts. While people viewing a company’s page from Facebook Mobile can see the cover art that could be seen on the Facebook website, the size of the image is diminished so much that most text becomes almost illegible. On the Facebook website, cover art is prominently shown with a huge image. Not only is the image smaller on Facebook Mobile, the profile picture covers half of it and it’s darkened so the emphasis is on the profile photo. This isn’t devastating but it does mean that marketers shouldn’t only put information on the cover art. For example, a retailer shouldn’t rely on their cover art to advertise their Black Friday specials, it’s unlikely that many people would get to see the image (especially since cover art changes rarely show up in a user’s news feed). Using image-based posts with similar designs as the cover art or creating text-only posts that showcase the same information. Unlike cover art, that is still displayed on Facebook Mobile, app pages are completely unusable on Facebook Mobile (some games and individual apps are mobile compatible, but the app pages for individual profiles aren’t viewable). This greatly affects the way marketers can use strategies that involve fan-only content or app-based contest (photo contests, raffles, etc.). The only way to create fan-only content is to put that content on an app page and restrict access to Facebook fans. Any content that a company wants to restrict in this way will be unavailable to mobile users. For things like coupons, this can severely erode the effectiveness of the campaign. Similarly, contests run through third-party apps like Wildfire or OfferPop can’t be viewed through Facebook Mobile. The solution these apps use is that they create a microsite that can be included in a post. The content can then be accessed normally from a browser. However, as was noted in the first section, links require people to leave their Facebook app which reduces the response rate. Another way to address the issue is to use smaller, engagement-style contests where entries come from people liking or commenting on a post. Mobile devices change the way we interact with the internet and Facebook Mobile is no exception. While the platform has made it easier for people access their Facebook accounts, it has changed the way people interact with the content and profiles for businesses. Knowing how Facebook mobile is different can prevent marketers from making mistakes that keep their message from reaching the 750 million people who access Facebook through their phones.